Our CBD hemp oil tinctures are an easy and effective way to add hemp supplements to your daily routine. 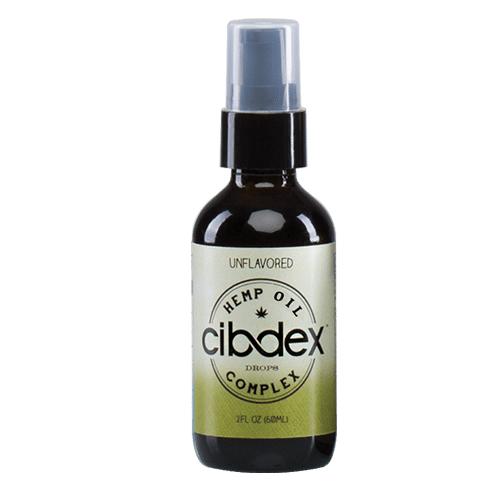 With the Cibdex® Unflavored CBD tincture, our high quality CBD hemp oil is infused into liquid drops that can be sprayed under the tongue. Two pumps taken once or twice daily is enough to begin incorporating the benefits of hemp into your day. Unflavored Cibdex® drops contain no added flavors and is only lightly sweetened with Stevia for those who enjoy the natural taste of hemp. Each 2 oz bottle comes with 500 mg of CBD for 2.5 times the CBD concentration as the 1oz. version. Servings Per Container: 160 approx.